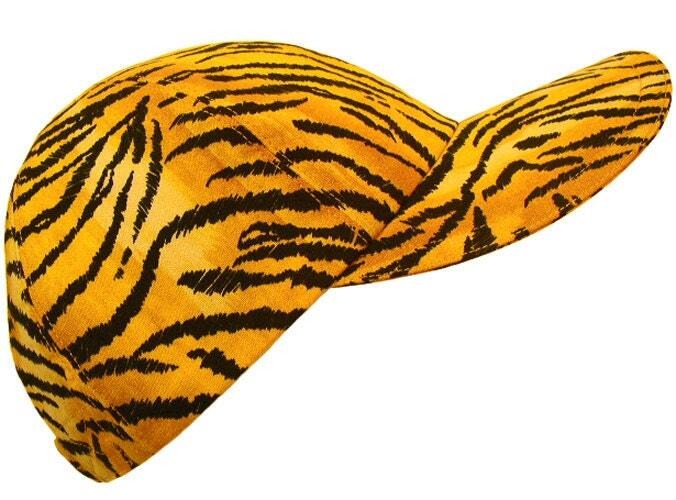 This baseball cap is called "Here Kitty, Kitty"..... Black tiger stripes on a variated golden, caramel and cream background. 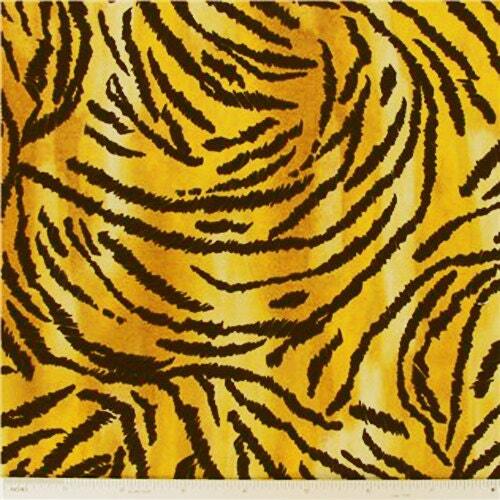 A very natural and realistic looking animal skin print. Caramel top-stitching, black grosgrain band on the black-on-black floral print cotton lining. Also available in the regular One Size Fits Most style in a separate listing. THIS CAP IS A SIZE LARGE. 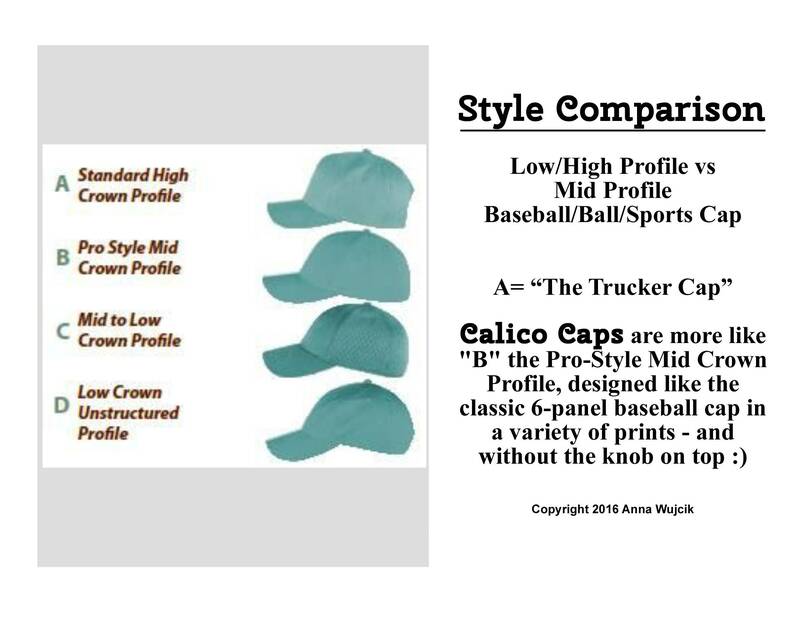 Most Calico Caps are size MEDIUM/ONE SIZE FITS MOST. 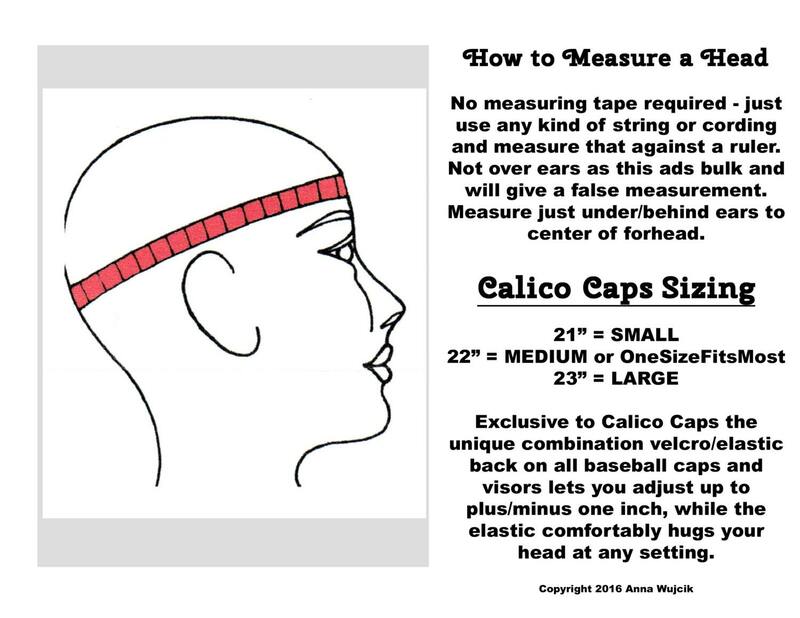 For example: a head measurement of 22" is a medium and is in the middle of the OneSizeFitsMost spectrum. The cap in this listing is a size LARGE. All our size "LARGE" or size "SMALL"s are in their own category.